Merging the skills required in business technology is a valuable part of writing an effective cover letter. You should include specific examples in your work experience that relate directly to the position you are applying for. In the following example, the applicant is vying for a position as a Technical Business Analyst and has a significant amount of experience. Notice how their past work is related to the job posting as well as the business' success as a whole. This cover letter also mentions a referral from a business contact. 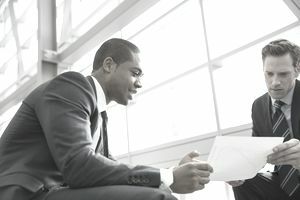 If you include that personal reference in the opening paragraph, you will grab the attention of the hiring manager or recruiter and that connection may land you the interview. When writing cover letters for technical positions, be sure to include technical details without over explaining the work. Remember that the reader wants to understand what you know - particularly the programs and languages and how that related to your job - but they do not need a crash course in it. Use this example as a guide and be sure to personalize it to suit your experience and the position you're applying for. This is an example of a cover letter for a technical position. Download the technical position cover letter template (compatible with Google Docs and Word Online) or see below for more examples. Please accept the attached resume for the position of Technical Business Analyst as recently advertised on Monster.com. I've had the pleasure to review Acme Tech's website, and to speak with Jane Doe, a colleague at Acme Tech, and am very enthusiastic about the position advertised. I believe that my combination of technical skills, consulting experience, and business sensibilities would serve Acme Tech well in this position. My foundation is as a developer in multiple languages and on many platforms. If the situation requires getting code done, I deliver high quality, clean, working code, quickly and correctly. I'm comfortable with structured code, databases, OO programming, and "specialty" languages such as might be found in workflow or business rules systems. I have every confidence that to the extent the position requires actual coding, I can sling code with the best. On a more general level, I believe I bring the broad "soft" skills you can have confidence in with a candidate that will represent Acme Tech to your customers. I trust you would find me to be well-spoken, energetic, confident, and personable, the type of person on whom your customers will rely. I also have a wide breadth of experience of the type that gives you the versatility to place me in a number of contexts with confidence that the level of excellence you expect will be met. I greatly appreciate you taking the time to review my credentials and experience. Acme Tech's blend of business strategy, market analysis, and information technology is very exciting. I hope that you'll find my experience, interests, and character intriguing enough to warrant a face-to-face meeting, as I am confident that I could provide value to you and your customers as a member of your team.